The Laser Distance Sensor ( LDS ) scans its surroundings 360 degrees, 1800 times per second, to map out the interiors of your house. The three processors track its movements in real-time, and the Simultaneous Localization and Mapping ( SLAM ) algorithm calculates the most efficient route for cleaning. Using the Mi Home app, you can switch on and remotely control the robot, change cleaning modes and set schedules, Additionally, a powerful Nidec brushless DC motor, the main brush with adjustable height and a 5200mAh Li-ion battery for up to 2.5 hours of cleaning, attractive in price and quality, all these make it stand out of the market. 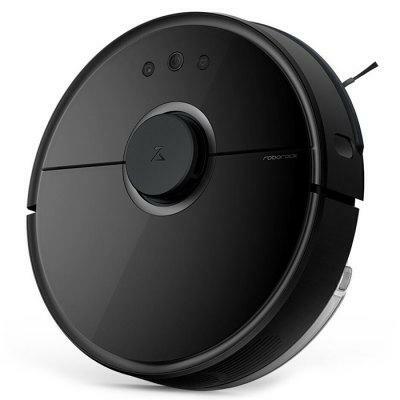 Get the Roborock S50 Robot Vacuum and dirt will not stand a chance! Want to be notified when the Roborock S50 Smart Vacuum Cleaner Path Planning Intelligent Sensor System gets even cheaper? Make sure you snag the best price by entering your email below. We'll email you when the price drops, free! We're tracking the price of the Roborock S50 Smart Vacuum Cleaner Path Planning Intelligent Sensor System every day so you know if that deal is really a steal! Check back for to check the best price for this product - and whether its current sale price is really the cheapest it's been! No Roborock S50 Smart Vacuum Cleaner Path Planning Intelligent Sensor System coupons found!